I managed to get the front end pretty much finished today, just leaving the brake lines and speedo cable to fit. I also have the lights to fit but will have to incorporate the rules from the MSVA before I mount these. 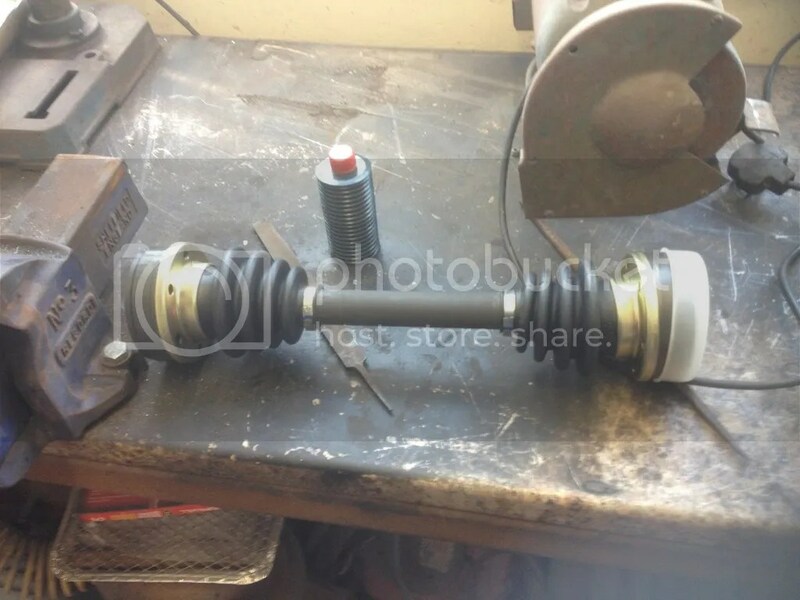 As you may remember I am using the back end off a VW 1303S Super Beetle, and thankfully these use an IRS system and not a swing axle.However it does mean that the drive shafts between the gearbox and stub axles are a little more complicated than your average earlier style beetle. 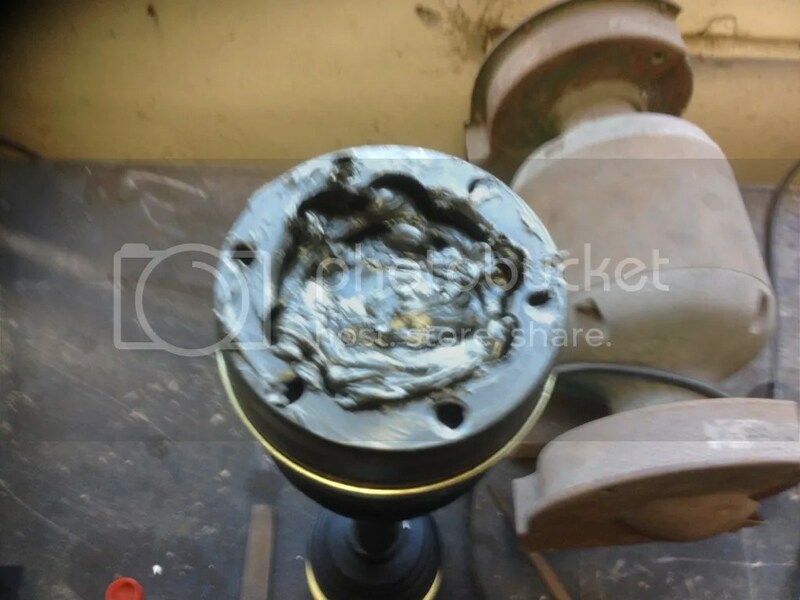 These Constant Velocity (CV) joints require greasing with a special grease which is thick and very black, and has the nasty habit of getting everywhere even when you are being careful! 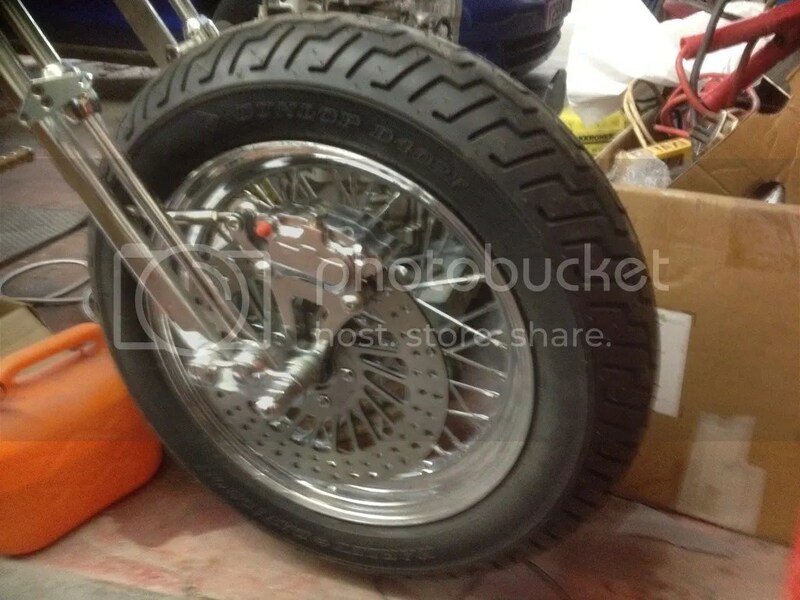 With the CV Joint lubed sufficiently, the drive shaft is fitted to the trike. 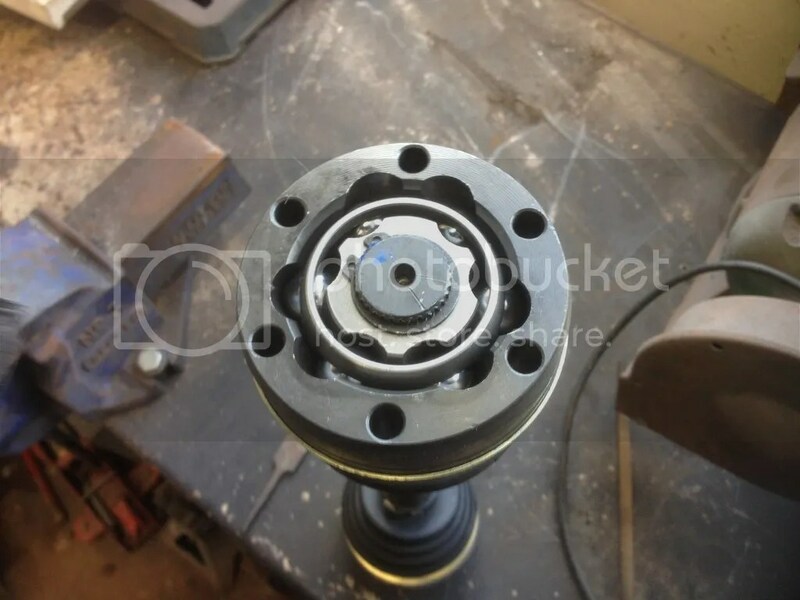 I started by putting more grease into the cup shaped mounting point for the drive shaft and then attaching with the spreader plates and bolts supplied. 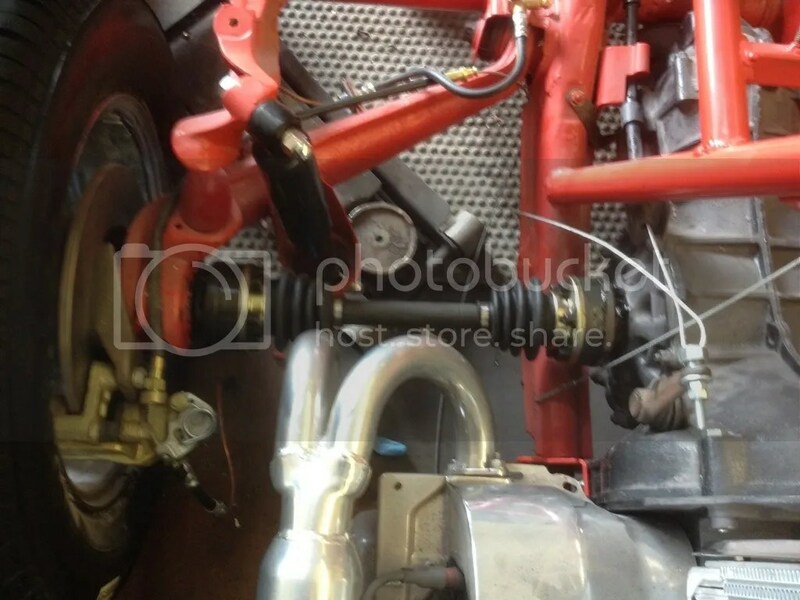 As you can see from the picture above, the clutch cable is installed and is operative, with the guide pipe going through the mount beside the chassis earth point. The other cable is from the handbrake cable.